I know that time has come to start looking for a middle school for your children for the 2017-18 school year. Should you be searching for private schools, please see the below information regarding a school fair hosted by The San Diego Consortium of Independent Schools. In addition there will be representatives from the Independent School Entrance Exam (ISEE). 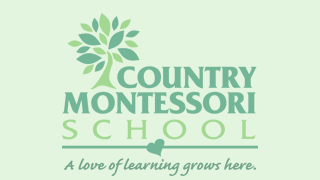 I will be sending you more information soon about Santa Fe Christian, Maria Montessori, St. Michaels,The Meadowbrook Academy and Francis Parker (their open house is on 11/12 @ 9-12). I wish you all the best in your search for a new school. The San Diego Consortium of Independent Schools invites you to please save the date of Sunday, October 9, 2016 from 1:00pm – 3:00pm! The San Diego Consortium of Independent Schools will be hosting a school fair from 1:00-3:00 PM at the Double Tree Hotel in Carmel Valley. This is an extraordinary opportunity for your families, who have completed their terminal year at your school, to become well acquainted with nine of the premier independent schools in San Diego County including: Army & Navy Academy, The Bishop’s School, The Children’s School, Francis Parker School, The Gillispie School, The Grauer School, La Jolla Country Day School, Pacific Ridge School, and San Diego Jewish Academy. We will have representatives from the Independent School Entrance Exam (ISEE) in attendance at the fair to answer questions. We will also have representatives from Student Support Services (SSS) available to share information regarding financial assistance. Please share this video invitation with your families. Click here to learn more about our schools through the voices of our students. We appreciate and value your advocacy to encourage your families to take advantage of this outstanding opportunity to learn more about their children’s future education. We would also like to have you and members of your school community join us on that day as well. If we can offer support or answer questions, please don’t hesitate to reach out. We look forward to seeing you and your terminal year families there!